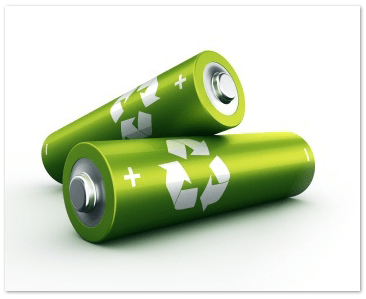 Many manufacturers are now interesting in producing greener products, in terms of chargers and batteries which are used in laptops, mobile phones and other gadgets. Most of these devices work on built in lithium-ion battery which gets replenished every few days. However, these batteries tend to have hazardous effect on the planet. The Japanese company Fujitsu has announced its plan to release a wireless charger which will certainly be an innovative product. This focuses on developing eco friendly batteries without any harmful chemicals and power chords. When power chords are made, there is accumulation of waste materials which are harmful to the environment. Therefore, the elimination of power chords as replaced by wireless eco chargers will be a plus point from several aspects. The Fujitsu Company is confident of creating such an eco friendly charger despite design difficulties. The Company has affirmed that it has been able to create this technology unlike attempts by previous manufacturers. It has to go through the various complex difficulties but it seems to have come up with a unique technology. Although the concept of the wireless charger is not a new one, it has been given a fruitful breakthrough by Fujitsu. The Company will be releasing its new product by the end of 2012. This wireless eco charger is bound to make a heavy impact in the way we handle our devices. Earlier devices like phones, laptops and gadgets needed recharging with the use of power chords and were quite inconvenient. This new eco charger is created in such a way that mobile phones and laptops can be charged by placing them near a power source. People need not carry bulky charger chords when on the move once this new wireless charger is introduced. The technology for the new eco chargers are complex as it depends on other components to be charged which are already in the phones or laptops. The eco chargers depend on the magnetic resonance technique, which generates a resonance that reaches the power receivers. The magnetic resonance technique uses a capacitor and a special coil of wires to form a power transmitter. This technology is in its nascent stage but Fujitsu claims that it can overcome all the complex difficulties. This is in relation to the size and power requirements of the electronic devices. Fujitsu Company claims that charging efficiency of up to 85 % is possible for all batteries through the wireless charger. When this eco wireless charger is put in the market, many concerns faced by the governments and environmentalists are bound to find the solution. At the moment, mobile phones and laptops are charged with power chords directly fitted to the power sources. This is a greener option which can make things better for the users and the environment as well. Even though, it is still in its nascent stage the breakthrough will be of immense benefit globally. The Fujitsu Company has gone so far as to claim that this technology can be used to charge electric cars. Alia Anderson is an internet marketer and writer. She loves to writing about top10writers. When she is not writing you can find her at twitter and on Facebook.